A classic design with a modern touch. 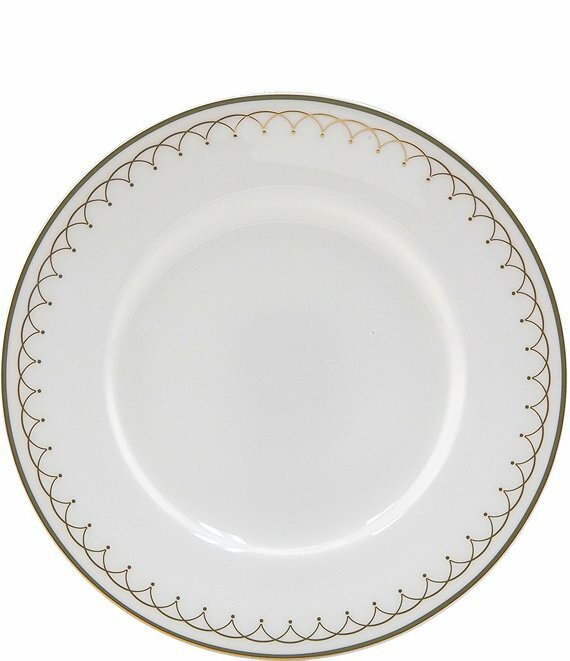 From Nikko, this fine bone china features a delicate gold lattice and scallop design. Dishwasher safe; hand wash recommended. Approx. 6". Imported.